President Donald Trump has so far stayed off Twitter during former FBI Director James Comey’s testimony. But his eldest son hasn’t. 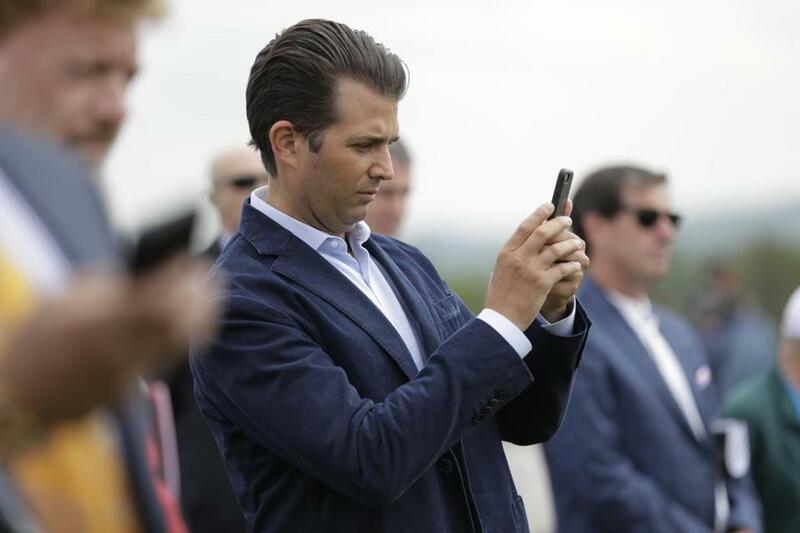 Trump Jr. in particular seized on Comey’s assertion that he interpreted the president’s statement that he ‘‘hoped’’ the FBI would drop its probe into former National Security Adviser Michael Flynn. Donald Trump Jr. and his brother Eric are now at the helm of their father’s New York-based business. Meanwhile, one of the president’s other sons continued attacking a recent Forbes article detailing the Trumps’ involvement in a children’s cancer charity.